Stay In The Moment, is now up for free download. It is the first single off the upcoming album ATeNATiCa (available Feb. 7th). Grab a free download, Enjoy, and Share this track. And don’t forget to stay in the moment. Mobile Rusty. More mobile than my last trip to Mars to make that repair on the Curiosity Rover. 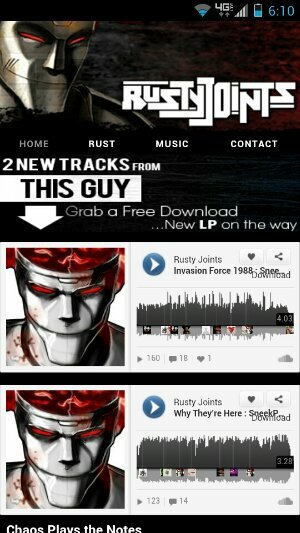 Basically what I mean by all this junk is, go check my site, RustyJoints.net from your Smart Phone. Or at least a phone of above average intelligence… work wit’ me. But yieah. 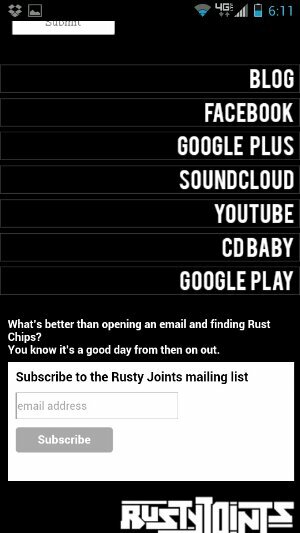 This is the first mobile version of the Rusty Joints website. I may update and modify at will. 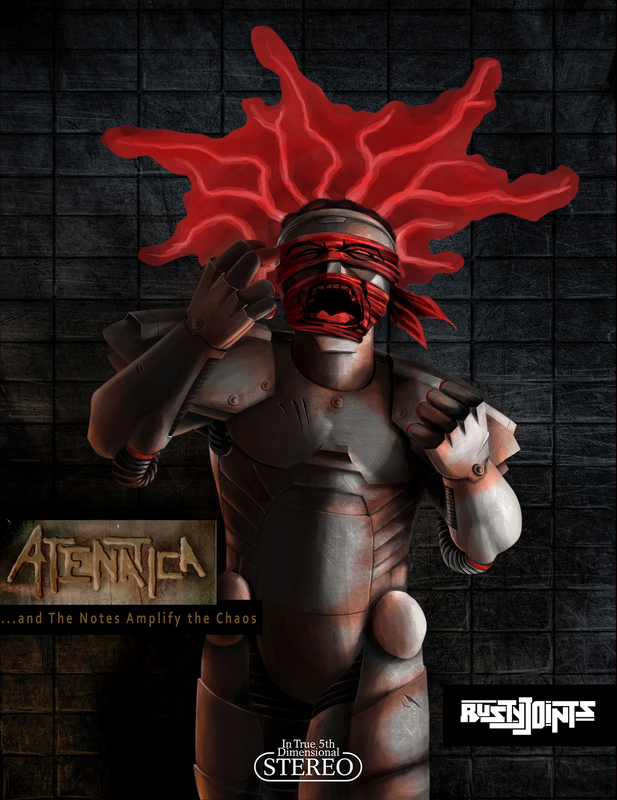 There is previews of the 2 new tracks from, AnTeNATiCa, just as the main site. 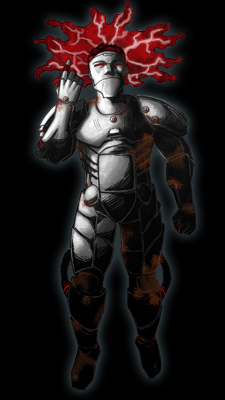 There’s the bio area, called Rust. Theres the Music area which is linked to my Bandcamp shop. They made a nice cozy little mobile version of Bandcamp earlier this year. And finally on the mobile site there’s the Contact page, with a contact form, a bunch of links, and the email signup form. So if you know any music lovers, put them on. That’s what you should say, word for word. I would like to share these words with you. …is roughly half way to completion. Hopefully it will be released before the end of the year. “Updated, I will keep you”.